You know what’s awesome? Hearty meals that are disguised as salads. 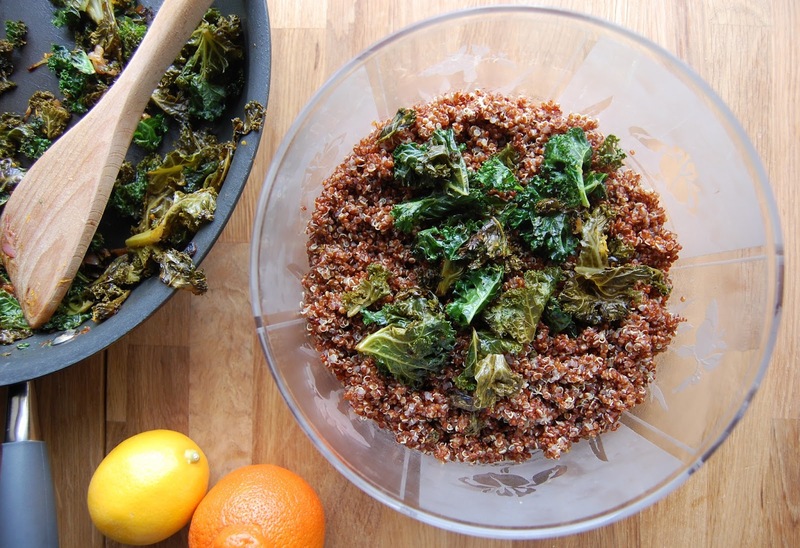 Like this one, one of my current favorite “salads”: Citrus, Quinoa and Kale Salad with Meyer Lemon Vinaigrette. Take it from me… lettuce is so last year. 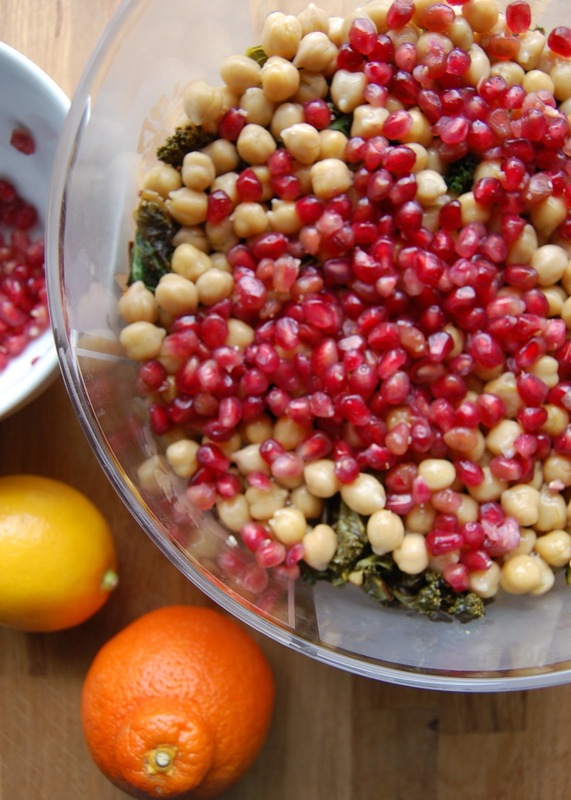 This dish, err, salad, is packed with protein-rich red quinoa, meyer lemon zest, kale that’s cooked until slightly softened, garbanzo beans, citrus slices, and pomegranate seeds for crunch. And holy cow, it’s good. And pretty too, right? The quinoa will leave you full for hours – and the mix of savory, sweet and tangy ingredients will leave your tastebuds feeling truly satisfied. Seriously. In fact, I originally made this dish as a side salad – but quickly learned it’s much more of an entree. Bring 2 cups of water to a boil. Add salt, and zest and juice of 1 lemon. Add quinoa and cook according to package directions. Wash kale and pull leaves off the tough center stem. Slice into small ribbons. Meanwhile, heat olive oil in a large skillet and add shallots. Saute for about 3 minutes until just softened. Add kale and stir for about 2 minutes, until kale starts to wilt. Add 1 T apple cider vinegar and lemon zest, and cook for another minute. Then remove pan from the heat. 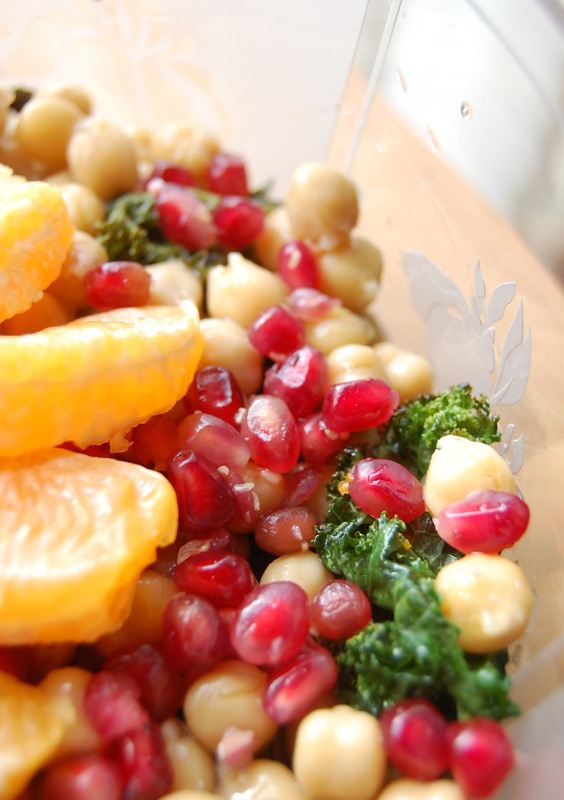 Let cool slightly, and stack in large salad bowl with quinoa, garbanzo beans, tangelo slices and pomegranate seeds. For dressing, whisk together lemon zest, honey, olive oil, lemon juice, tangelo juice, vinegar, stock, salt and pepper. Toss into salad and enjoy immediately. 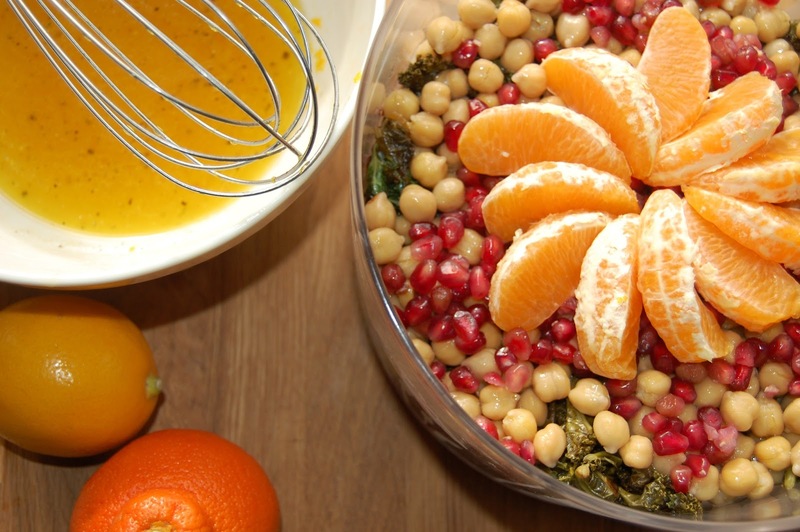 One Response to "Citrus, Quinoa and Kale Salad with Meyer Lemon Vinaigrette"